Merrimack Valley provides commercial services for all of your business’s needs. Whether you are in need of a commercial glass door repair, a new storefront entrance, or commercial grade windows for your building, we are here to exceed your expectations and complete your project quickly. 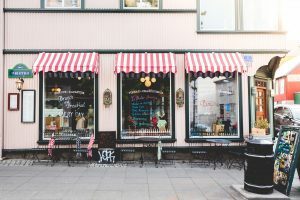 Improve your storefront, while reaping many of the cost-saving benefits. If your business has the need for glass railings leading up to a second floor while also creating a beautiful aesthetic for your customers or clients, give Merrimack Valley Glass a call. We can mend your doors and windows as is, or create a new design for your business. Estimates are available 24/7 for emergencies that occur outside of normal business hours. Give your business its’ best look, Call us today!